To stay up to date with communications, please like Wilmington Ballet's Facebook page and follow us on Instagram. You will automatically be added to our email list to receive important studio news. Wilmington Ballet does not share any personal information. At the time of Fall 2018-2019 enrollment, each student will be charged an annual enrollment fee of $40. Enrollment fees may be waived if you register early. The enrollment fee holds your dancer's place in a class. Full classes may begin a wait-list. 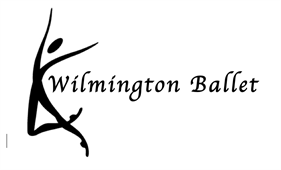 Wilmington Ballet (WB) reserves the right to cancel or shorten any class with fewer than 5 students registered or in attendance. The schedule is subject to change at any time and without warning. First quarter tuition and enrollment fees will be processed within one week of enrollment. Subsequent quarterly tuition will be charged at the start of each eight-week quarter unless administration is otherwise notified by email. A late fee may charged if payments are not received within the first week of each quarter, and a $35 fee will be automatically charged for insufficient funds. Students will not be allowed in class if tuition payments are delinquent. Although the registration system requires billing information, dancers on **scholarship will not be charged tuition or fees. Tuition and enrollment fees will be processed after the directors verify correct class placement, and appropriate fees and possible discounts are assessed. There's a tuition discount for families with multiple dancers attending classes: 10% for the second dancer, 15% for the third, 20% for the fourth, and 25% for five+. The discounts will be applied in order of the dancer enrolled in the least amount of classes. Separate tuition and fees may apply for The Nutcracker*, Spring Performance*, Drop-In Classes, Master Classes, Special Events, Summer Camps, Intensives, and Workshops. Tuition and enrollment fees are non-refundable, except in the case of extended illness or injury verified by a doctor's letter. Full tuition is expected regardless of snow days, holidays, illness, or vacations taken. Refunds or credits will not be issued for classes missed in any quarter or for charges that occur on or after the start of the new quarter. WB extends its calendar of classes by a week to ensure dancers can attend make-up classes. Dancers may attend make-up classes at their same level only. I understand the policies set forth by Wilmington Ballet and agree to abide by these policies. The undersigned gives permission to Wilmington Ballet, to seek medical treatment for my child(ren) in the event they are not able to reach a parent or guardian. I hereby declare any physical/mental problems, restictions, or condition and/or declare the paricipant to be in good physical and mental health. I hereby release, waive, discharge and hold harmless the Wilmington Ballet, its board members, directors, faculty and employees from any and all claims, suits, liabilities, costs and expenses for any personal injury or illness, property damage, loss or theft, death or other loss arising from or relating to my child's participation in program activities. I understand that it is strongly recommended to seek medical advice before participating and I thus acknowledge my child has the physical ability and training to properly and safely participate in program classes. I have carefully read and reviewed this Waiver, Release and Hold Harmless Agreement, understand it fully and I execute it voluntarily. Wilmington Ballet may use pictures and other audiovisual materials of my children for advertising and promotion of Wilmington Ballet. Photos may be used on social media such as Facebook, Instagram, and Wilmington Ballet's website. Please notify administration in writing if opting out of photo release.